If your choices for preparation are limited to a few days, or maybe just one, the following are the 5 best resources for last-minute MAT prep. The MAT Official Guide is a free resource that will give you an important overview of the MAT. Knowing how MAT questions are constructed will vastly improve your chances of answering the questions correctly. If you don’t understand how the questions work, you risk wasting time figuring it out on test day. The official guide also provides an overview of the different types of analogies and question answering strategies. 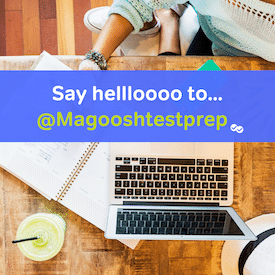 The Magoosh MAT flashcards are another free resource that you can use to prepare. 160 practice analogies will give you the chance to hone your skills; plus, looking up the terms you don’t know will count as additional study. Lastly, flashcards can be used anywhere. This is a convenient way to practice the strategies you learn in the official guide. The Official MAT practice tests are not free, but they are the best way to get realistic MAT experience. If you have at least one day, the MAT is a short exam: just 60 minutes. You can easily squeeze in one practice test and use it as an opportunity to get familiar with answering questions under pressure, skipping back and forth, and you can look up terms when you finish the exam. This blog on how to answer MAT questions represents one of the best strategies you can use when attempting to answer MAT questions. This is, again, a strategy you should practice as much as possible on flashcards or actual practice tests. “Last minute” can mean different things. If tomorrow is the day of the exam, then you will want to stick to the first four resources on this list. 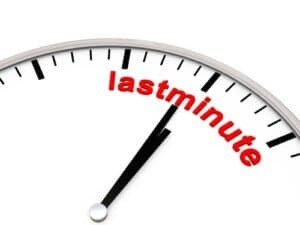 If “last minute” for you is a couple of days, then getting a hold of Kaplan or Barron’s MAT guide makes sense. Barron’s actually has a Kindle version. Both are quite cheap. You won’t be able to use the full guide; however, you could make use of one of their subject lists which discuss common MAT questions under different topics (i.e. biology, math, history, etc.). I suggest picking a list in your worst area and doing a little “cram” memorization with flashcards. You might only get an extra 1-2 questions right for doing this but that’s huge on the MAT. If you are weak in everything, I would advise looking at the math or geometry lists. These are often quick facts to memorize (how many sides in a pentagon? ), and there will definitely be a handful on the MAT.